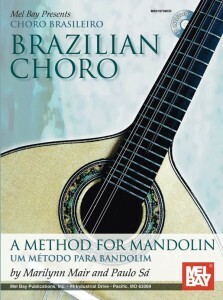 This article was originally published in Mandolin Magazine, Summer 2005. Last issue we began our survey of musical style in the Renaissance, an era of rebirth and optimism. This column moves ahead to the Baroque, and the first flowering of complex instrumental music. The names of Bach, Handel, and Vivaldi are most familiar, but there were scores of Baroque composers writing music for the newly formulated orchestra, the more versatile keyboard instruments, and, of course, our favorite instrument, the mandolin. Baroque instrumental music is largely polyphonic and often contrapuntal. A “polyphonic” texture is one with two or more independent lines, rather than the melody-harmony texture we usually hear today. “Contrapuntal” comes from the French phrase “point contre point,” (note against note) and indicates that in addition to being polyphonic, a piece will have lines of similar note values (rather than a slow moving bass line and a faster melody), that move independently, often in opposite directions, to heighten the tension of the music. Baroque music is also frequently ornamented. An ornament is an unwritten decoration or flourish that is applied to a written note. It uses the notes above and/or below the written note to create a decorative phrase. Frequently a symbol appears above the written note indicating what ornament is required. There was a lot of argument in the era, that still continues today, about precisely what sort of flourish each sign indicates. But ornamentation is not optional in Baroque music, so performers need to have a working knowledge of turns, trills, mordents, appoggiaturas, and their variants to play stylistically. 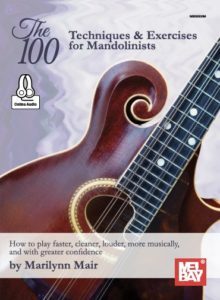 For this issue’s musical example I’ve done the work for you, and have written out simple ornaments where required, so you can hear how they change the music. Other aspects of Baroque music that set it apart are its use of imitation and sequence. Baroque composers like to spin out a melody, generally over an insistent motor rhythm, throwing it back and forth between the lines and moving it up and down the scale. Let’s take a look at this issue’s music for some concrete examples. The piece is one of Bach’s 2-part inventions for harpsichord, that I’ve tweaked a bit so it can be played on two mandolins. In the first measure we are introduced to the melody in the top voice, and it is repeated immediately in the 2nd voice. In measure #2 the melody is sequenced up a 5th in the top voice and then repeated in the 2nd voice. Note that there is an ornament in each statement of the melody in the top voice. I’ve written out the ornament in smaller notes attached to the B in measure #1 and the F in measure #2. Also note the use of slurs to indicate the phrasing required, always leading up to beats 1 and 3. This keeps the piece moving forward. If you look at measures #7-10 in the top voice you’ll see an interesting example of sequencing. An 8-note melodic phrase begins on G in measure #7 and then repeats a step higher, beginning on A, in measure #8. The phrase is then inverted, beginning on D in measure #9, and the inverted phrase is sequenced, beginning on E in measure #10. And what’s the 2nd voice doing during all this? Check it out I bet you’ll see. Also, beginning in measure #15, note the alternating sequencing and inversion going back and forth between the lines. Cool, yes? Baroque music is many people’s favorite classical style, for its intertwining lines, propulsive forward motion, and the cool twists and turns it puts the melody through, all the while using our memory of the repeated phrase to guide us forward. This piece should go as fast as bluegrass after you figure out the notes, but sounds good at slower tempos too as you progress. Enjoy! Posted August 28th, 2005. Bookmark the permalink. Both comments and trackbacks are currently closed.